While you're relaxing on the beach, your home can be making you money. Fancy making money from your home while you're on holiday? Increasing numbers of websites are springing up which allow people to rent out their properties for short periods. But homeowners who take advantage of them need to be careful they are not breaking any rules. Websites such as Oxfordshire-based Holiday Lettings, which became part of the Trip Advisor group in 2010, are designed for those who are new to lettings or only want to let their home for a few weeks a year. 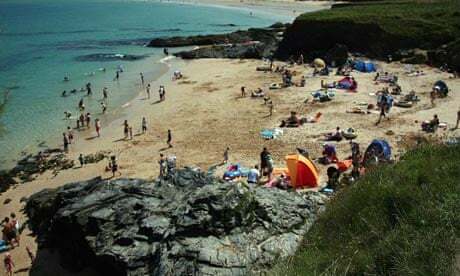 It launched a free listing service in February and is running an advertising campaign asking homeowners to "see how much you could earn towards your next holiday". Holiday Lettings takes 3% of any bookings you receive, plus VAT. That means if you were to let a property for £700 a week, its cut, including VAT, would be £25.20, while if you let your home out for £1,500 a week, Holiday Lettings would take £54 including VAT. Guests pay the company a 5% booking fee which is automatically added to the rental price. Your home does not have to meet any particular standards if you are renting it out, but obviously if the photographs you take to advertise it show it looking cluttered and dirty, you are unlikely to get many takers. "Good transport links are important too, and you should also give some thought to local events happening while you are away and which could attract people," says a spokesman for Holiday Lettings. "When deciding how much to let your property for, look at comparable properties on the site to give you an idea of price. Be careful not to overestimate or underestimate how much you should put it on for – both can put people off." There are other similar websites specialising in putting you in touch with potential house guests, such as Wimdu.co.uk. Again, this site allows you to list your home – or a spare room – for free, and takes 3% from each booking. Homeowners are insured against any accidental damage caused by people staying in their property. Ivy Lettings also specialises in renting out people's homes, though only if they are based in London. Properties need to be in zone 1 or inner zone 2, available for at least 12 weeks in total a year or at least eight weeks between June and September, and fully furnished to a high standard. Ivy Lettings says commission varies depending on the property, how large it is and how many people it can accommodate, but is typically around 20% plus VAT. The Halifax says borrowers need permission to let out their property; otherwise they will be in breach of their mortgage terms and conditions. "One of the conditions of us providing our consent is that all lettings are carried out through an assured shorthold tenancy agreement," says a spokesman. "However, the minimum period that one of these can be set for is six months." This policy applies to all of Lloyds Banking Group's mortgage brands, which also include Lloyds TSB and Bank of Scotland. Yorkshire building society also says it will not give consent for its mortgage customers to let out their homes for a fortnight. However, some lenders are more flexible. A spokesman for Santander says: "If someone is letting out their home while they are away on two weeks' holiday, we would want the borrower to ask us for consent, but this would not be unreasonably withheld." Most insurers will continue to provide cover as long as the letting has been organised through an agency, although they may put extra restrictions and limits on the level of cover offered due to the increase in risk. Asia Yasir, spokeswoman for esure home insurance, says: "There would be no additional premium if you were letting your home out for a fortnight, but there will be restricted theft cover. There would need to be evidence of forcible or violent entry to make a claim. "We would also encourage homeowners to secure their valuables and property, ideally taking high-value items such as jewellery with them or locking them up in a secure safe." Direct Line also says it will cover properties if let while the owner is on holiday, though there would be an additional premium. A spokesman says: "We would usually limit this to two individuals, or one family, staying for no more than six weeks. Accidental damage cover will not apply while the property is let, and theft cover will be restricted to forcible and violent entry. The additional premium will vary from customer to customer." Some don't allow short-term lets unless you have permission, in order to protect other residents from potential noise and disruption. For example, according to Westminster council you need permission if you want to let your property for less than 90 days. Without it, you are breaking the law and could be fined up to £20,000. If you can overcome all these hurdles, remember that tax will be payable on any income you receive. However, if you are only letting out a room or a floor rather than your whole property, you should be eligible for tax relief on any money that you earn. Under the government's Rent a Room scheme, you can earn up to £4,250 a year tax free from renting out your spare room. This applies whether you rent or own your home, although if renting you will need to confirm that your lease allows a lodger. The Lewis family are camping in their garden this summer – and letting their house. Like thousands of others, Kate and Andy Lewis will be camping during next month's Glastonbury Festival - but they will be in their own garden next to the site while their home earns enough money to pay for their annual holiday. 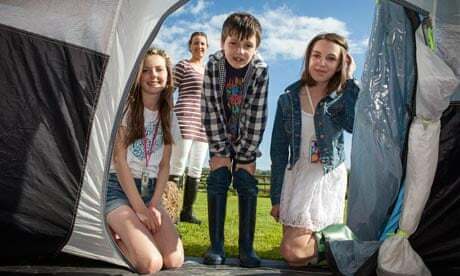 The couple and their three children, Ellie, Morwenna and Harvey, live just a muddy wellington boot's throw from Worthy Farm, where the Rolling Stones, Mumford & Sons and Arctic Monkeys will headline this year's event. For each of the last six years the family have let out their farmhouse to revellers while they camp in the field alongside. This year music journalists and record company executives will rent it for a week for £6,000. "We'll be staying in a trailer tent in the garden. It's a step-up from the canvas tents we've had before, but not as posh as a trailer," says Kate. "Some people in Pilton village, where the event is held, let their houses, but others let just a room for up to £1,000 for the festival week. One villager lets a room to someone helping to organise the festival for three months each year. It's something of an industry." The potential market is huge. Research by Bournemouth university shows that 7.7m tickets were sold for live music festivals in 2009. If you live near a festival site you can advertise your home free of charge to potential customers on festival-beds.com, a site set-up by Kate and a friend.